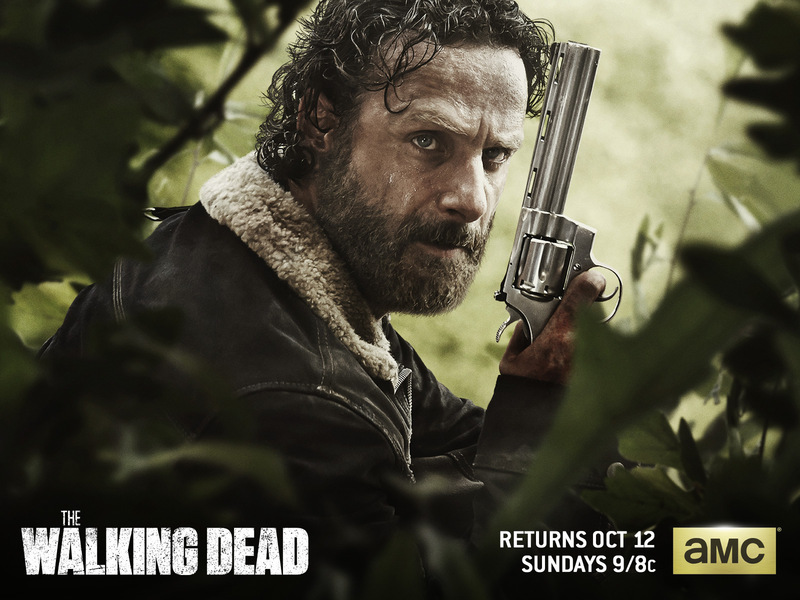 Would "The Walking Dead's" Rick Grimes make a good co-founder? I can’t help but feel that AMC’s The Walking Dead is far deeper than it seems. In fact, people who think of it as a regular gore-horror-zombies-jokes flick makes me wish someone would bite them in the forehead. No, the show has a very deep, psychological level and there are a lot of life and business lessons to be learned from Rick Grimes and his group. Here are my biggest takeaways from watching all five season of the show. Yes, there are indeed spoilers ahead, and no, my man crush on Daryl says nothing about my sexual preferences. They don’t want to hear "being acquired" as it’s not a real goal and 95 percent of startups fail in it anyway, and they don’t want to hear "make the world a better place" as it’s too vague and cliché. They want to hear one, ultimate goal that will dictate the vision of the company and lead the team in a very practical way. In The Walking Dead, the gang is combined of intelligent characters that have no goal. Just like "being acquired," "surviving" in the post-apocalyptic world isn’t a real goal -- it's just an endless cycle of roaming the countryside and killing zombies. When the group stumbled upon an abandoned prison, they set out to take it over. The successful mission led to a period of order, however brief, in the survivors' lives. The startup industry is full of young, bright and charismatic folks. Unlike old-school industries, you can easily find business competitors grabbing a beer together or visiting each other’s offices. One thing I learned in a rather painful way is that potential business competitors are just not the right guys to hang out with, and especially share secrets with, even when it seems you’re meant to be good friends. Of course, some people are indeed pure and won’t let their startup’s best interests come in the way of a real friendship, but sadly, that's not true of some people. In The Walking Dead, the "Governor" and the residents of Woodbury were like business competitors for Rick’s group. Why? Both group of survivors fought for the same clean air, resources, safe locations and items. Andrea, one of the group’s more dominant characters, trusted the Governor and fell for his charisma -- at the cost of her life and a few others. Personally, I’m still not over Herschel’s horrible death. One of the most touching scenes in the show would have to be Rick letting Carol go from the group, seemingly never to return, after killing two people that could have potentially spread a deadly flu across the prison. In spite of the consequences, Carol confessed to Rick. As the group leader, Rick made the quick choice of ordering her to leave the group. He did it because he recognized that Carol may have become so heartless that nothing could keep her from murdering more people in the future should she feel threatened by them. In startups and business in general, the hardest part is letting a good employee go, especially if they were close to you on a personal level. No matter how fair you think you are, you can’t skip the step of hurting their feelings a little bit. Nonetheless, an employee that could potentially harm your company or other team members in the near future should be quickly let go.